After the success of Alice in Wonderland and Cinderella, Disney is really rocking the live-action movie adaptation scene. Should they continue this streak then I am up for the upcoming The Jungle Book that will be released soon... very soon. Just now the teaser trailer for the movie has been released online and you'll never believe what you'll see or you won't really know what to expect. This Jon Favreau-directed adaptation stars Neel Sethi, Bill Murray, Idris Elba, Scarlett Johansson, Giancarlo Esposito and Christopher Walken. Some of them will play humans and some will give voices to the beloved (or hated) animal chracters. Watch the new teaser trailer of The Jungle Book movie by Disney. Based on Rudyard Kipling’s timeless stories and inspired by Disney’s classic animated film, The Jungle Book is an all-new live-action epic adventure about Mowgli, a man-cub who’s been raised by a family of wolves. But Mowgli finds he is no longer welcome in the jungle when fearsome tiger Shere Khan, who bears the scars of Man, promises to eliminate what he sees as a threat. Urged to abandon the only home he’s ever known, Mowgli embarks on a captivating journey of self-discovery, guided by panther-turned-stern mentor Bagheera, and the freespirited bear Baloo. Along the way, Mowgli encounters jungle creatures who don’t exactly have his best interests at heart, including Kaa, a python whose seductive voice and gaze hypnotizes the man-cub, and the smooth-talking King Louie, who tries to coerce Mowgli into giving up the secret to the elusive and deadly red flower: fire. 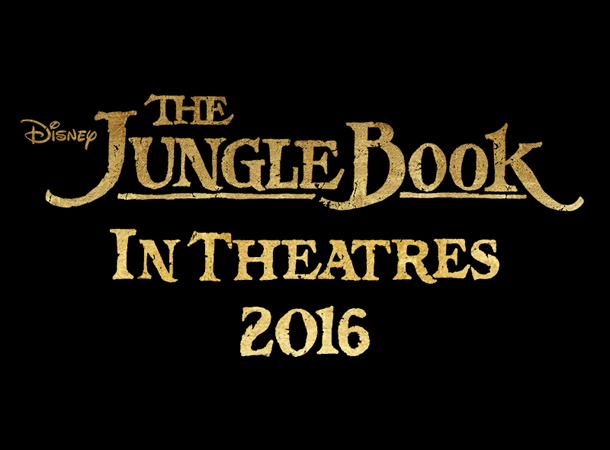 The Jungle Book live-action movie swings to cinemas on April 15, 2016.